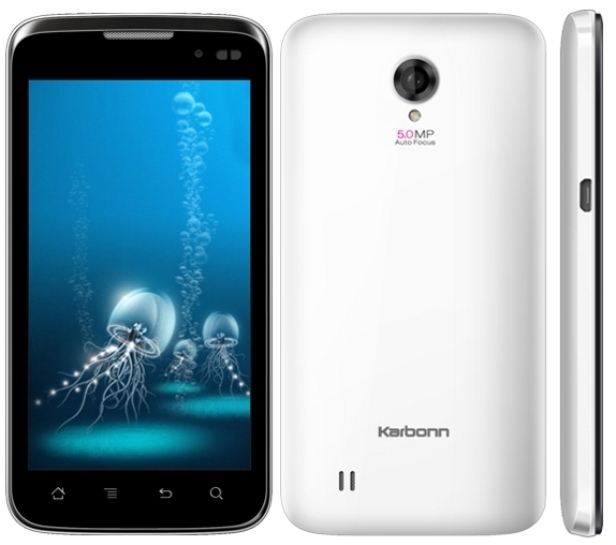 The Karbonn A21 is a powerful smartphone launched at the end of the year 2012. Thanks to its dual-core 1.2 GHz processor, as well as the 4 GB internal storage capacity, it is reknown as a high quality device that rarely lets its users down. If you are the proud user of this phone and suffer from software problems and unresponsive apps, it might be time to regain functionality of it, by hard resetting the Karbonn A21. Once a master reset procedure is performed, any issues you might have had because of corrupted applications files and viruses should be gone. The same operation is also useful in case you’re planning to sell the smartphone as brand new, because it will erase all user data and refresh the operating system. In case you’d like to use the phone yourself afterwards, we recommend to create a backup. Running on Android OS v4.0 – Ice Cream Sandwich – the Karbonn device is equipped with a Li-Ion 1800 mAh battery. In terms of music, the phone doesn’t come with a Radio FM, but it accepts most media files ranging from MP3 to MP4 and WMA to WAV. If you’re a photography fanatic, you should be aware that there are two cameras – one situated in the front (5 MP) and one placed on the back (1.3 MP). There is also a Wi-Fi 802 hotspot available, as well as Bluetooth v2.1 with A2DP. Being lucky enough to have a phone whose battery can be easily removed, a soft reset is also possible on the Karbonn A21. This can be done by pressing the Power key for a few seconds to reboot the device, or by removing the battery. After maximum one minute, it can be placed back in, and the device can be turned back on. Turn the device off, and then remove and reinsert the battery. Simultaneously press and hold the Power (no. 1) and Volume Up (no. 2) keys. Keep holding the buttons when you see the green display, and wait for the red one to pop up. From the given options, select Wipe Data using the Volume Down button and select it with the Power key. If prompted, select Yes in a similar way and press Power once more. The device will automatically reboot once you’re over with the 5th step of the instructions above. It typically takes between 3 and 6 minutes for the phone to be ready to use – please wait for additional instruction to appear on the screen, and don’t interrupt at any given time. Once the Karbonn phone will have restarted, you can use the same as before.